RealPass-F is a multi-functional ID document and passport reader that can read variety of data such as OCR, photos, characters, barcodes, contact and contactless smart chips. As an e-passport reader, RealPass-F provides full-page, one-step reading of visual data page and RF chip data of ICAO standard passports. For high-level security in immigration clearance, RealPass-F supports optional functions including UV, coaxial, OVD and dual camera for 800 dpi photo capture. Sealed in IP54 rated rugged structure, the device features USB 2.0 power and data transfer interface. RealPass-F is an ideal all-in-one device to read both electronic ID cards and travel documents. RealPass-V is the best e-passport reader for full page, one step reading of data page and RF chip data of ICAO Doc 9303 compliant travel documents and cards. The e-passport reader ensures reliability and accuracy for authenticating ICAO standard documents as well as issuing passports and e-passports. 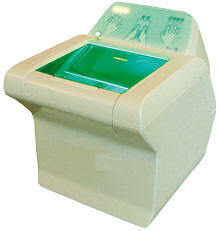 Lay-on document scanning processes all printed and electronic data of e-passport without additional operation. RealPass-V is widely applied to border control, automated immigration clearance system (autogate), and CUSS & kiosk. The AB 8703 is the world’s first true high resolution full-page ePassport reader featuring 1040 DPI resolution and as well the world´s first full-page passport reader with a transmitted light table in the cover for acquiring high resolution images of watermarked pages of the travel & ID document. 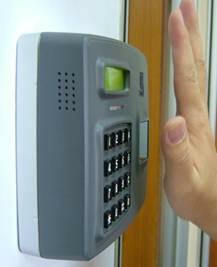 The AB 8703 is manufactured by Regula Ltd. and is commercially distributed by Regula Ltd. and Avalon Biometrics SL worldwide. 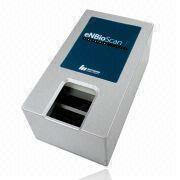 The images taken by the AB 8703 enable automated document verification solutions for the first time to automatically match microtext and printed security background features of the data page of passports and other identity documents and deliver a level of detail & security only known from bulky forensic inspection systems used at back-office operations until today. A typical use of the AB 8703 is as document verification scanner in a secondary inspection scenario. It is currently packaged in a suitcase with internal batteries and space for a communication unit for secure VSAT communications with additional support for a secured WLAN Hotspot, GPRS, VOIP, etc. communication channels, for deployment in mobile checkpoints around the world. The first operational usage of the AB 8703 is a sensitive project that is not under disclosure. 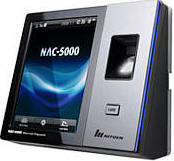 It is in a state-of-the-art secondary inspection scenario, where officers in the field can get high-end document verification results directly from the Inspection Systems and additionally have the possibility to involve a remotely available forensic expert from anywhere in the world, delivering professional services into the field where it is needed most by utilizing latest technology. 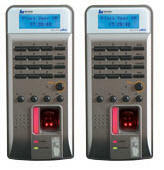 The AB 8703 closes the gap between forensic examination stations and regular document inspection systems and enables authorities to provide expert advice & service to remote locations and therefore increasing security effectively while leveraging existing resources in remote locations for a high security, integrity and ROI. Development’s Kit (FDxDK) with in-built superior fingerprint identification algorithm provides the optimal conditions for development of fingerprint identification-related solutions which allows easy and swift implementation of the applications. Also, it supports device control, enrollment/authentication and extract the minutiae of the fingerprint.